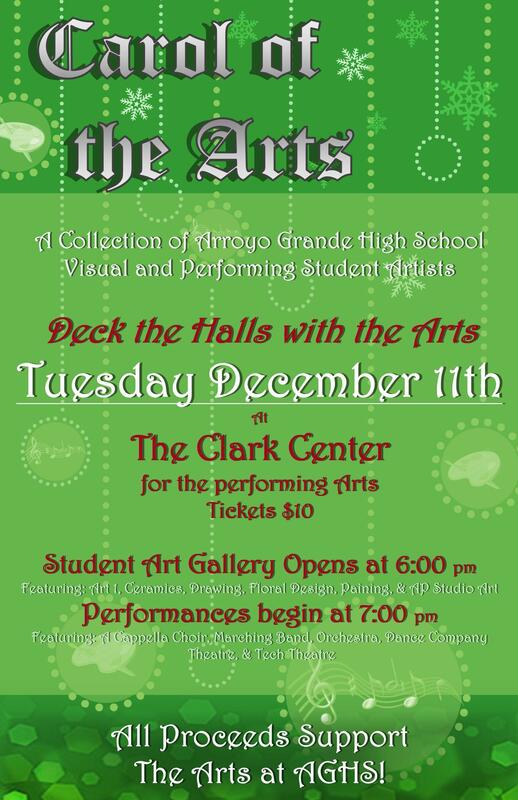 Come out and support AGHS Visual and Performing Art students on Tuesday, December 11th at 6:00 PM. 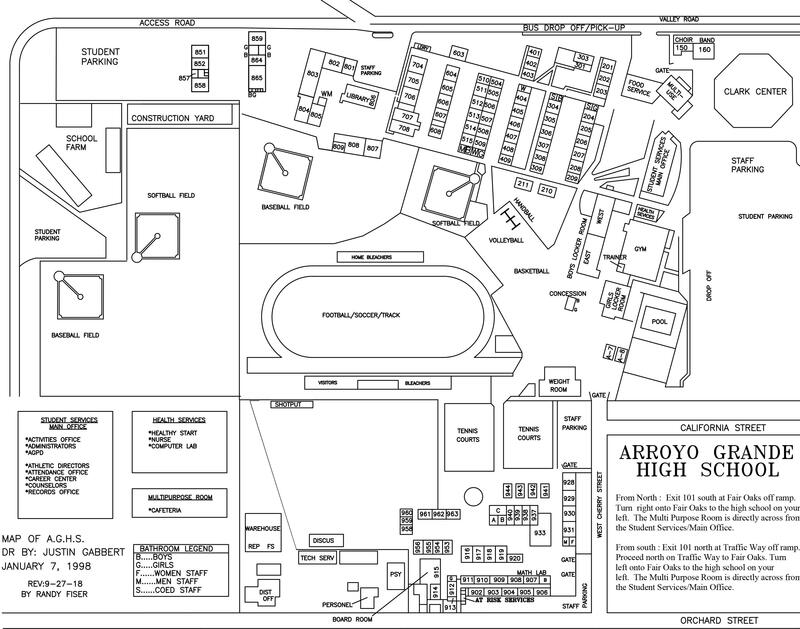 Now in its 7th year, Carol of the Arts features a collection of Arroyo Grande High School Visual and Performing Artists showcasing their best work in a spectacular Gallery of Artworks followed by sensational Musical, Dance and Theater numbers. Bring your Families and Friends, and come support the Arts and AGHS! Admissions are $10 and all proceeds from the event will go to the Visual and Performing Arts Department at AGHS.